Information Security Summit is proud to work with many fine partners to produce our conference, training and networking events. Our partners have provided various resources that allow us to provide excellent services to our customers. We ask that you patronize our partners as they have donated their time, talents and treasures to bring you the best possible learning and networking experiences. Our partners are listed below. ASMGi offers a unique combination of expertise in IT infrastructure support, information security products, software support and digital asset management tools. We leverage Cloud based hosting, security experts, managed services and software development teams so our customers can confidently focus on their core business. Hurricane Labs specializes in providing penetration testing, network monitoring, vulnerability management, and network security monitoring. By offering a blend of technological services, educational resources and expertise, Hurricane Labs is able to create a custom network of security solutions that work to monitor and protect clients. 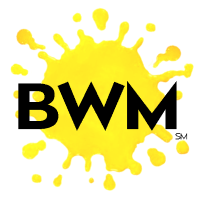 BWM is a group of business growth champions with the courage, energy and skills to help your organization seize and achieve opportunities in the best possible way. We are “Adding Spice to the City—through brighter ideas” so you have solutions to challenges and can exceed your goals. We specialize in business development and nonprofit growth through planning, creating, communicating and executing. Better with Mustard is your spot-on partner to gather internal strength, recapture customer interest, conduct market research and enact cost-effective business development ideas. We listen. We energize. We respond. We create. So your vision rises from idea to optimal productivity as you make your mark on this world successfully.